Pierre Westie: “Thanks so much, Bentley. The top story might be one of my all-time favorites. It involves a dozen camels that were disqualified from the Saudi Arabia Camel Beauty Pageant for allegedly using Botox in their lips! This brings so many questions and jokes to my mind but as a reporter, I will stick with the facts. 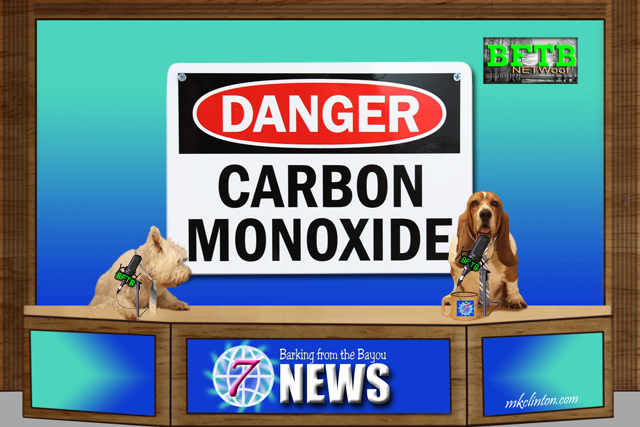 Bentley: “We love reporting on our four-legged heroes and we have a couple of ‘bone-afied’ life savers this week. 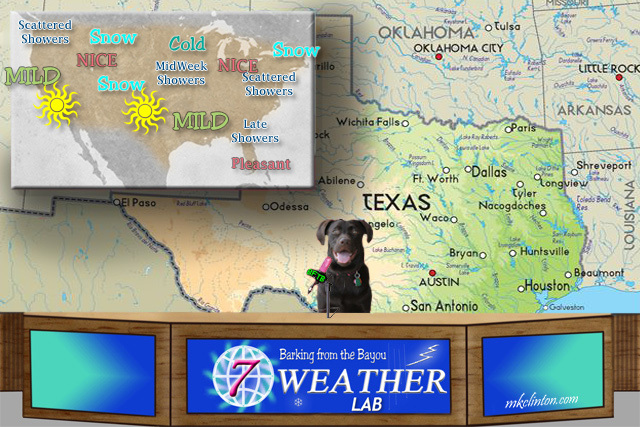 Paisley the Weather Lab: “Speaking of nip, it is going to continue to be nippy in the northern states with a chance of more snow. The Pacific Northwest will have scattered showers while the west coast will be mild and sunny. Those sunny skies are going to a welcomed sight in the southern states too. Our friends in Utah and Colorado might also see some more snow. The middle of our country can expect midweek showers. Those showers will continue traveling to the east bringing more hit or miss showers. 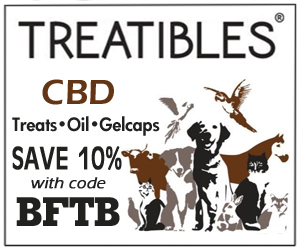 We thought it was a joke when we first read it! BOL! BOL!!! Love that idea...using the Botox in the humps of the camels! Too funny Phenny! We are glad that you report the GOOD news!! 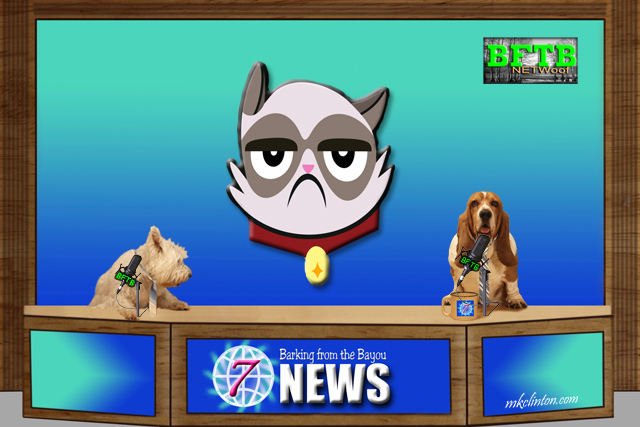 There is so much that is bad or sad these days...My husband just informed me that there is now a GOOD news station. They only report good news! I think it is on MSNBC or something like that. Hope you had a good weekend! Hmmmm, we wonder if they are trying to emulate our amazing BFTB news? LOL! Yay for Ruby and for the Golden! We walk among so many hero pups! Mom thinks camels are sooooo cute! 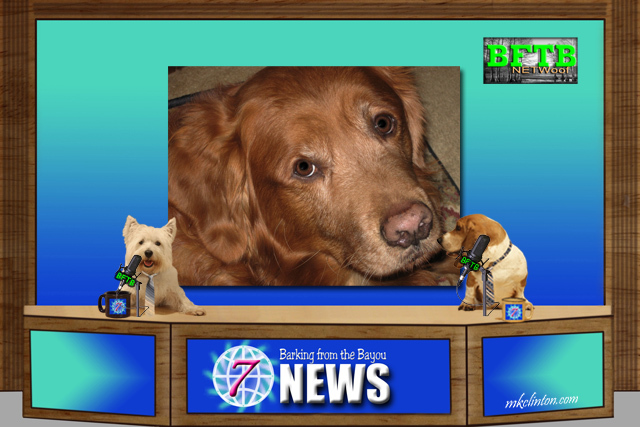 Dogs never cease to amaze us and we love reporting on them! Camels are cute. Botox on camel lips, oh my! Some good inspiring stories as always! Isn't that hilarious! What a bizarre scandal. I had to laugh...we read about those camels and had a major laugh over the sheer ridiculousness of such an event and the shame of the Botox scandal! Hahaha! We really double checked to make sure it wasn't a joke! BOL! Those are some good stories! 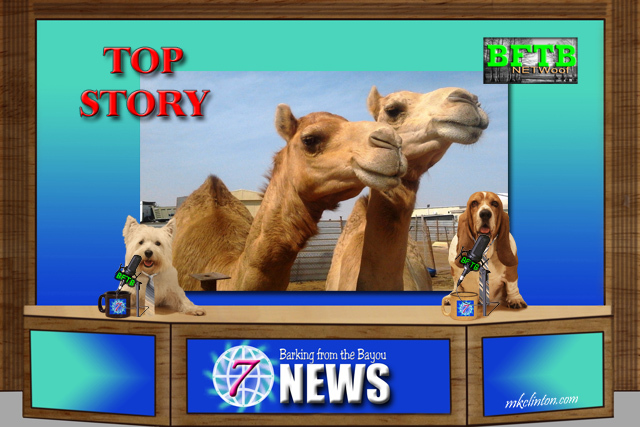 We saw the camel story on the TV news too. I guess beauty is in the eye of the beholder! Oh, and who would have thought Grumpy Cat would have made so much money? But I think there's hardly anyone who doesn't recognize her these days. That is a lot of money to be the prettiest camel around! I love Grumpy Cat too. Camels and Botox? Good grief?! We prefer it when animals help out their families like Ruby and the California dog. Let's just hope the snow forecast doesn't do a hop, skip and jump over Denver this week. Wishing you guys a furbulous week. We hope that you get some snow! I know the ski resorts would appreciate it too. Animals should be left "au natural"
OMD..We thought the first story was going to be a joke...BOLBOL!! Too funny! Thanks for the great news today! We thought it was a joke too but it is for real! BOL! We laughed too. It was hard to keep a straight face during our report. That camel story is pretty interesting. And I hope Grumpy Cat donates some of that money to cat shelters. So many things are odd about the camel story...57 million dollars? Giving your camel Botox? What a crazy world we live in!! I just love stories of animals saving humans! Good Job Ruby. HuMom is still shaking her head over the camel story. So, can Grumpy Cat still be grumpy?